The City Council approved Vornado Realty Trust’s proposed 15 Penn Plaza commercial tower across the street from Penn Station in Manhattan. Opponents raised concerns about impact on Empire State Building, while the Council focused on Vornado’s participation in Minority- and Womenowned Business Enterprise program. On August 25, 2010, the City Council approved Vornado Realty Trust’s proposal to construct a commercial tower rising approximately 1,200 feet on Seventh Avenue between West 32nd and 33rd Streets in Manhattan. The site is occupied by the Hotel Pennsylvania, which Vornado plans to demolish in order to build the project, known as 15 Penn Plaza. Vornado proposed developing a 67-story, single-tenant building or a 68-story, multi-tenant building in order to provide development flexibility. Vornado agreed to provide a host of transit improvements in exchange for a development bonus necessary to build either proposal. The proposed improvements include reopening and renovating the Gimbels/ West 33rd Street Passageway, and relocating subway entrances at West 32nd and West 33rd Streets. During the project’s public review, Manhattan Community Board 5 opposed the project, arguing that the proposed transit improvements did not justify the tower’s size. 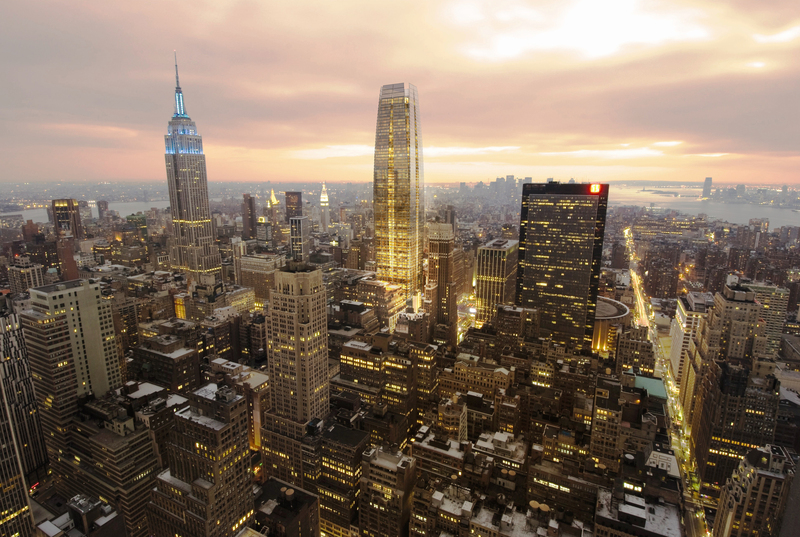 Malkin Holdings LLC, owner of the Empire State Building, argued that the tower would negatively impact the iconic skyscraper, and asked that the proposal’s height be reduced. The City Planning Commission approved the proposal, noting the importance of adding new modern office space in Manhattan’s central business district and the need for the transit improvements. 7 CityLand 105 (Aug. 15, 2010). At the Council’s Zoning & Franchises Subcommittee hearing, groups speaking in support said the project would bring new business to the City and create short-term and permanent jobs. In contrast, Anthony Malkin, president of Malkin Holdings, said the tower was simply too big and too close to the City’s largest landmark. Malkin did not oppose the project outright, but said that it would be more appropriate at a height of 800 to 825 feet. Preservation groups, including the National Trust for Historic Preservation and the New York Landmarks Conservancy agreed, and requested that the Council reduce the project’s height and massing. Addressing issues other than the tower’s effect on the skyline, Council Member Albert Vann asked whether Vornado planned to participate in the City’s Minority- and Women-owned Business Enterprise program (MWBE). Vornado’s Kate Ascher indicated that the company had not yet taken steps toward participating in the program. Ascher, however, said she would submit information on the percentage of women- and minority-owned contractors involved in past projects. After the hearing, Vornado submitted a letter to the Council describing its commitment to ensuring that minority- and women-owned businesses participated in the project. Vornado agreed to award to MWBEs a minimum of fifteen percent of the total value of construction trade contracts. When the Subcommittee reconvened, Chair Mark Weprin recommended approval of the project. Weprin acknowledged the opposition’s concerns, but said the City needed to continue modernizing its office structure and attract new businesses. The Subcommittee approved the project, with Council Members Albert Vann and Larry B. Seabrook abstaining. Vann said that based on the responses at the hearing, it appeared that Vornado had not previously considered the MWBE participation issue. The Land Use Committee also approved the proposal, but council members expressed their dissatisfaction with how the MWBE issue had been handled during the public review process. Council Member Diana Reyna said while Vornado agreed to certain provisions, it was unclear how these private commitments would be honored. Reyna, as well as other council members, said a broader discussion on the MWBE issue was overdue. Council Member James Sanders Jr. characterized Vornado’s MWBE agreement as a “tepid response,” but said the conversation was not ending with the vote. Council Member Charles Barron voted no on the plan. Barron said Vornado’s goal of awarding fifteen percent of the contracts to minorities was “bogus” and “nonsense,” and urged his colleagues to deny the project. Vann again abstained, stating that he “had no idea what [Vornado’s MWBE agreement] does.” Council Member Jumaane D. Williams also abstained. The Full Council approved the plan by a vote of 47-1-4. Council: 15 Penn Plaza (Aug. 25, 2010).